John and his wife Lorene have lived in Le Mars for nearly 40 years. They have 3 married children. 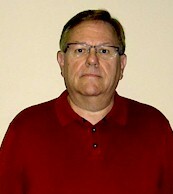 John is a retired commercial/industrial account manager from MidAmerican Energy. He is serving his 3rd term as a City Councilman. Lorene is a retired teacher from the Le Mars Community Middle School.